"It just seems weird to be in contention to win a national title. A little strange." - 3rd-ranked Iowa State's #2 runner Meaghan Nelson talking about her team's chances at winning an NCAA Cross-Country crown today in Louisville, KY.
How many 4 time Foot Locker Finalists in History? 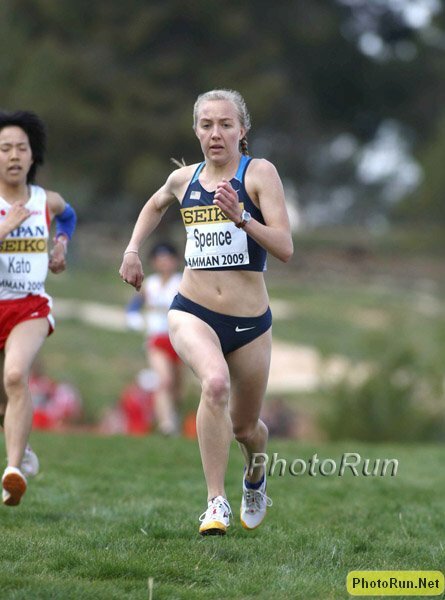 What's the lowest the top American at NCAA XC has ever finished? RRW: Abbey D'Agostino Looking To Be First Ivy Leaguer To Win NCAA Cross-Country Championships She'll have her hands full with Jordan Hasay. 3rd-Ranked Iowa State's Meaghan Nelson: "It just seems weird to be in contention to win a national title. A little strange." ISU's Betsy Saina: "Our goal is to win the title and I think we are more than capable of doing that." Could Cal Poly's Laura Hollander Become Just The Second Freshman To Win NCAA XC Champs? Wisconsin's Suzie Tuffey won in 1985. Oregon Women Coming Into NCAAs Ranked 2nd With Jordan Hasay The Possible Favorite To Finally Win An NCAA Title The men are ranked 16th. Tomororw: NY Times: Olympic Champ Tiki Gelana Running Seven Hills 15k In The Netherlands Against Tirunesh Dibaba She was originally scheduled to race NYC. IAAF Preview: Sunday Is The Second Leg Of The IAAF Cross-Country Series In Soria, Spain Men's race will be close battle between Kenyan 10k Trials 4th placer Emmanuel Kipkemei Bett and 12:49 5k runner John Kipkoech. Eritrea’s Nazaret Weldu leads women's field. There Will Be A Marathon In New York City Tomorrow: The Brooklyn Marathon Will Have 500 Finishers In It's Second Year They tried to expand the field to 2,500 to accommodate some left out of NYC, but the city denied their request. Kenyan XC Tomorrow: KCB National Cross-Country Series Continues With A Deep Women's Race Featuring Faith Chepng'etich, Mercy Cherono & Emily Chebet Peter Mateelong leads men's field. Sunday's Turin Marathon: Italian Record Holder (2:23) And Olympics 8th Placer Valeria Straneo & 2:24 Dutchwoman Hilda Kibet Lead Deep Women's Field They were both originally scheduled to race NYC. Men's field led by Daniel Rono (2:06:58), Nicholas Kipruto Koech (2:07:23) and Ukraine’s Oleksiy Sitkovskyy (2:09:26), who finished 12th at the London Olympics. Istanbul: Tortoise Beats The Hare Stephan Chebogut Picks up $50,000 & Wins Istanbul Marathon By 4+ Minutes In 2:11:05 As Leaders Blow Up After Going Out In 62:47 (new link) Koren Jelela won the women's title in 2:28:05. LRC NCAA Cross-Country Fan Polls Men's Predictions The first votes are in and we present to you the projections for 31 teams and 79 individuals at NCAAs. Voting still open in our $200,012 NCAA prediction contest. LRC NCAA Cross-Country Fan Polls Women's Predictions Jordan Hasay is the favorite over Abbey D'Agostino, but you helped us rank 86 individuals and all 31 teams. LRC DIII Fan Poll Predictions page fixed Keep spreading the word. LRC Men's Team Preview: Expect A Battle Between #1 Oklahoma State, #4 Wisco And #7 Colorado LRC breaks down the field and disses #2 Stanford and #2 Iona while giving #4 Wisconsin and #7 Colorado a chance. Disagree? Vote in our $200,012 prediction contest. 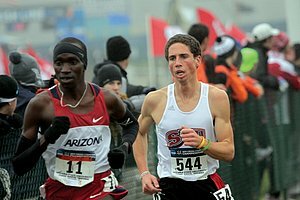 LRC Men's Individual Preview: Can Anyone Stop Lawi Lalang? Will An American Get In The Top 10? 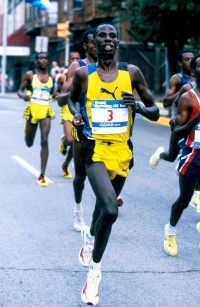 Lawi Lalang won NCAAs last year as a freshman. If he wins this time, he could be on his way to becoming the first 4-time NCAA champion. Oklahoma State Men Looking To Get Their NCAA XC Title Streak Started Again After Missing Out On A Three-Peat Last Year When They Lost To Wisconsin Coach Dave Smith: "Getting beat last year changed a lot for us. The guys on the team have been really focused since the minute the national meet finished." Wisco Coach: "I don’t know there’s a dominating team right now,"
Stanford Hoping At A Chance To Win Their First Men's XC Title Since 2003 And First Women's Since 2007 Odd that Stanford never has had an individual male or female champion. 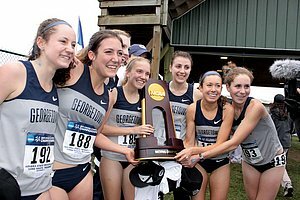 WSJ: Many Olympic Medalists Got Their Start By Winning NCAA XC Champs NYC Marathon elite athlete recruiter Sam Grotewold said that being a good cross-country athlete is something they look for when selecting the field. RW Interview With Florida State Coach Karen Harvey "I'm calling my girls horses. They are so fit. I mean, it's almost scary." Running Times Interview With Colorado Runner Blake Theroux "I'm going to run my own race, trusting that my guys are behind me, doing what they need to do. I would say I'm number two on the team right now ... and my goal is to beat every other number two in the country." OSU Coach Dave Smith Says His Team Is "Racing A Little Angry" At NCAAs "We are hungry again. Last year stung pretty badly. We are training and racing with a chip on our shoulder, like we did in previous years. 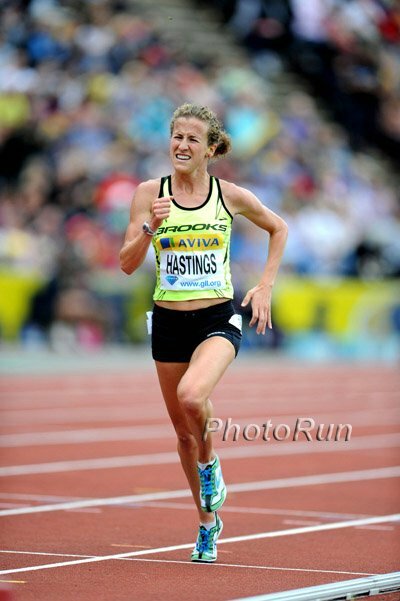 We are running like we have something to prove, training and racing a little angry." Q&A With Iowa State's Meaghan Nelson On The Team's Training And Outlook Ahead Of NCAAs She says her mileage has got up to 100-plus, and many others are in the 70-100 range. Jessica Ennis Says Sportswomen Can "Create a real healthy body image for young girls to aspire to." She admits to hating lifting weights when she was younger because she knew it would affect her figure. *Ennis, Christine Ohuruogu And Other UK Athletes Appeared On BBC's Special Titled "Body Beautiful?" Brit Runner Has Ran 587 Marathons In His Lifetime (500 Of Them Sub-3:30) Also broke a world record for running 87 marathons in a year, but no mention of his PR. London Had To Take Extra Measures To Make Sure Tourism Industry Was Not Devastated By Games You might assume the Olympics bring many more people in than usual, but with the number who avoid the city before and after the Games, London will be lucky to break even. 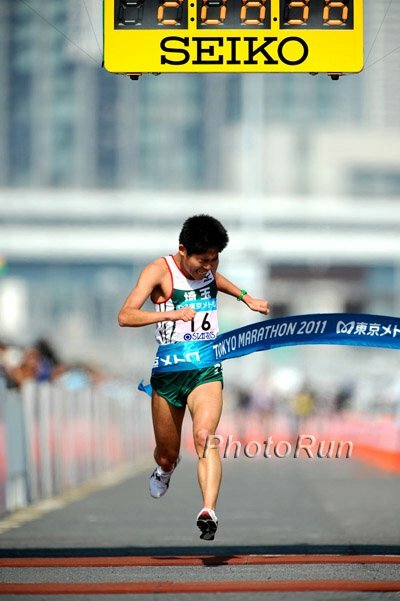 Japan's Sole Olympic 5,000/10,000 Runner Yuki Sato Is Dreaming Of Marathon Medal In Rio Sato, a 13:23/27:38 performer, ran in London with "B" qualifiers but will likely move up for Rio.